Outed for the first time last year, the Olio Model One smartwatch treads a difficult path. In an interview with the founder Steve Jacobs last year, he admitted to Wareable the allure of watch buying was down to "style, quality and brand", something that he reiterated during our chat at Baselworld 2016. So by his own admission, Olio has a big job on its hands. The company has zero brand, smartwatches are incredibly hard to make truly stylish and quality comes at a price. And the price is steep. The Olio Model One comes in at $600 for steel, $1,200 for 24k gold and 18k rose gold. First impressions of the Olio Model One reveal that the gold versions look a damned sight nicer than the steel. The dull grey metal does little for the aesthetic, and we found it hard to muster any positive feels at all, especially considering the $600 price tag. Taste is personal, but we'd take a Gear S2 or Moto 360 2015 any day. The gold and rose gold, however, certainly play the part of a desirable piece of wristwear. When you pick up the Model One, the quality build is immediately evident. The watch is manufactured in small batches, using a stainless steel base and a PVD coating using real precious metals. Jacobs told us that Olio Devices shaves micron thickness strips of atoms from the watch's body to perfectly balance it, so it doesn't slide around on your wrist, which helps for a better fit. And it fits like a glove. Substantial yet wearable, the quality leather straps felt right at home on our wrist – and while a lot of women will balk at the 47mm build – it felt fine on our male one. Thickness wise it's impressive too, and there's not a lot of difference between the Model One and an Apple Watch. It's impressive attention to detail, but unfortunately, not every challenge has been overcome with meticulous engineering. There is a lot of bezel on the Model One, and the dreaded flat tyre found on most round-faced smartwatches – the dead spot which hides the tech that drives the display – makes an appearance here. Unlike the Moto 360, Olio has made a feature of the flat tyre and added an attractive overlay with some slick detail, but it sure would look better without. What's more, there's a fairly thick bezel which is styled out with concentric rings made of the watch body's base metal. Again, in the gold and rose gold models it looks okay, but the reduced screen real estate is far from ideal. The screen itself is clear, without being especially bright or punchy, and we did experience quite a slow reveal as the watch face illuminated with a flick of the wrist. This was super annoying even within a short demo, although we were assured this was being changed. Onto software, the Olio is extremely similar to the Vector watch, where there's less emphasis on apps in the traditional sense, and more on pushing useful information. The home screen shows the time, and there are more screens for weather and calendar notifications, which you can swipe through using the touchscreen. Weirdly similar to Vector, Olio Model One will build visualisations of your day based on frequency of your notifications. Built in "apps" will also show data like calls, messages, reminders, traffic and social updates as well as chosen stocks and shares. While simplicity is key, the Olio is for people who just want basic information on the wrist, and even fitness tracking data doesn't make the cut, which is a surprising omission. There's no doubt that Olio has made a fine looking smartwatch, and those looking to go big on style and avoid the same old familiar names should check out the Model One. However, the emergence of brands like Fossil, Michael Kors and Tag Heuer into the space since Olio launched its watch could be bad news for the fledgling company. We're hard pressed to explain why you should spend $1,200 on an Olio Model One over a Tag Heuer Connected. 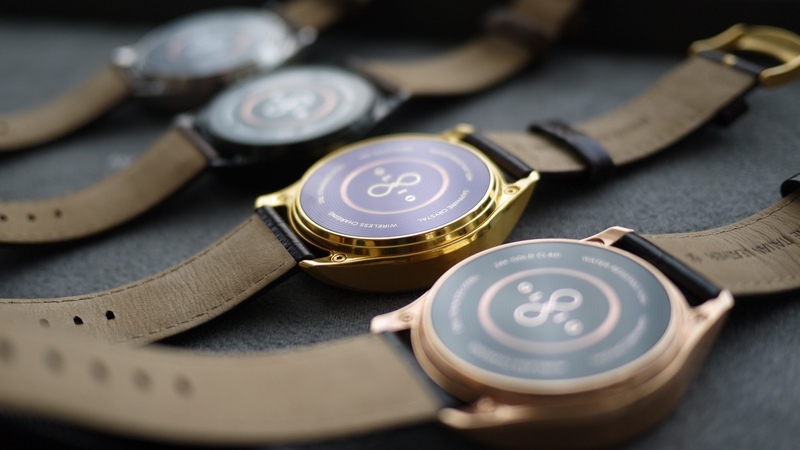 Olio's mission was to add style and individuality into the smartwatch market, and it's achieved that in some respects. But now it has to contend with big name fashion brands doing the same thing – and that's a tough fight to win. We'll be reviewing the Olio Model One as soon as it becomes available.